You have had a look through Google and found lots of camps out there. How do you choose? 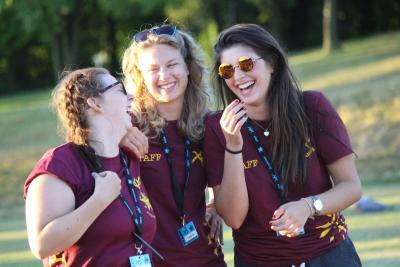 Lots of our staff say they were drawn to XUK Camps because they liked our ethos and the fact we are a family run business. If you are applying for a residential job, due to the nature of the job, location should not matter, but if you are considering our North London day camp, check the daily commute, is it realistic? We recommend having a thorough read thorough our website, not just the jobs pages. It will give you a good picture of what we are about, the activities on offer and the daily running of our camps. If you like what say, then have a careful read through our jobs pages. We have lots of different positions available. A good read through the job descriptions will give you more background on each of the roles and the responsibilities they entail. Also take note of the Essential and Desirable skills. Have you got what it takes? Once you have seen a role or two that takes your interest, head over to our Interviews page. Check that you can make our interview dates and are able to travel to London. And if the answer is yes, it is time to complete our application form. We cannot stress how important it is to follow the instructions, including clearing your cache. Nobody wants to spend a good amount of time on an application for it not to submit because you did not enter your date of birth in the USA format (FYI we use an American database). It is now down to you to sell yourself in your application form. Every year we receive hundreds and hundreds applications so make yours stand out, but be honest. If we invite you to interview we will be looking out for the skills and attributes that you have outlined in your application form. After a successful interview, you will be sent your contract to sign and then the countdown begins! Before you know it, we will invite you to our staff Facebook group (normally around the beginning of June) where you will have the opportunity to introduce yourself to your new team and ask lots of questions! And then the real fun begins... the summer! 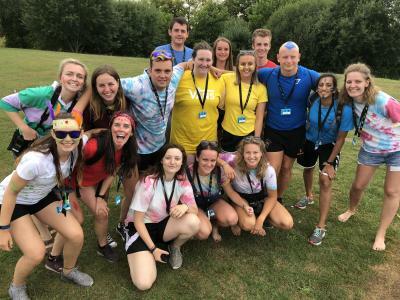 If you have any specific questions to our roles or could not find the answer to your question on our Jobs FAQs page, please get in touch, we love nothing more than talking about summer camp! And for updates, give our jobs page a like on Facebook! See you soon at your interview!